Challah at its eggiest (aka its best)! Last year I introduced you to my go-to challah recipe. Well, I still like that one just fine but truth be told I have a new favorite. If you own any Jewish cookbooks, chances are at least one of them was written by the amazing Joan Nathan. (Pretend you are watching me bow down here because there really are no words for me to describe how amazing Joan Nathan is when it comes to the Jewish kitchen). 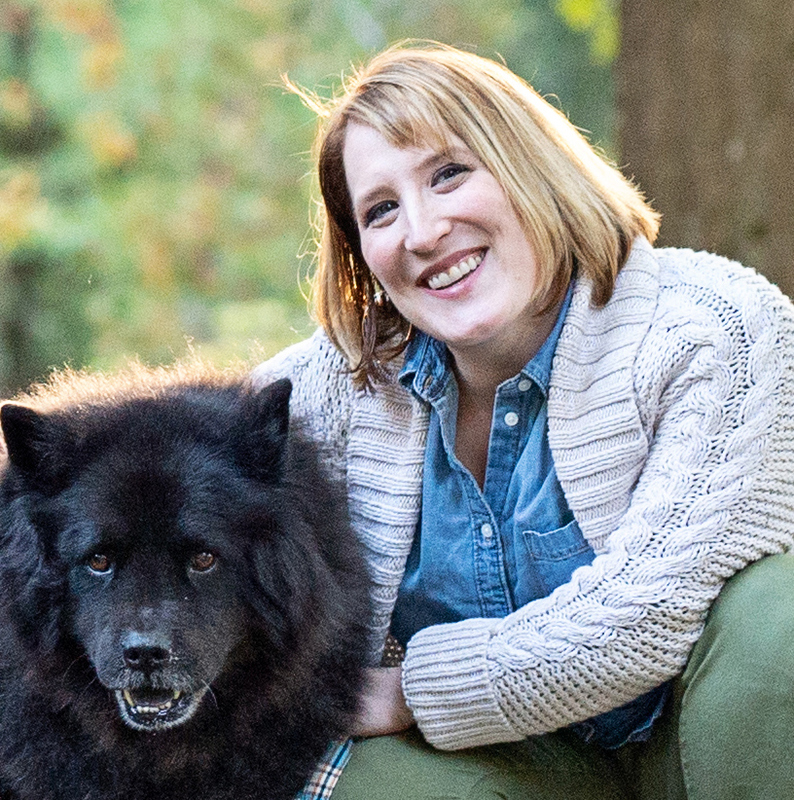 Not only are her cookbooks full of delicious recipes and beautifully written but they are chock full of history as well. My favorite book, probably because it speaks to the American Studies major in me, is Jewish Cooking in America. But the book that is home to my new favorite challah recipe is The Foods of Israel Today which makes my mouth water thinking of all the yummy foods my husband and I tried on our Birthright trip in 2005. The “Beigel Family Challah” really showcases the farm fresh eggs we get each week from my friend Andie’s Farm. After all, the recipe uses a total of 5 eggs – just look at that gorgeous yellow hue! Mmmm…eggy goodness! Thanks to the folks at Knopf for allowing me to share the recipe with you in full! My one suggestion is to brush on a little bit of honey after the final egg wash – personally, I prefer this little added sweetness to seeds. 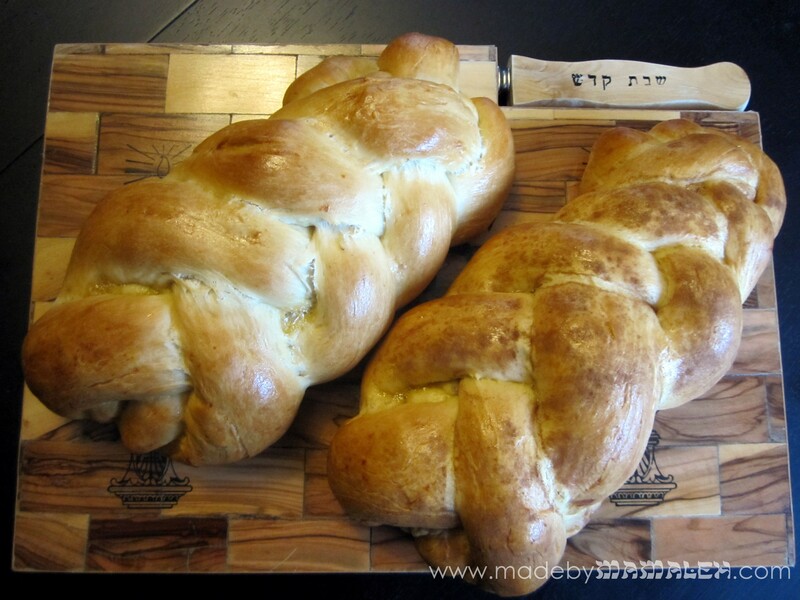 And, if you are like me and need visual directions, turn to the The Challah Blog for easy to follow braiding tutorials– the challahs pictured above were six strand loaves for a baby naming this past weekend. Enjoy! Whisk the oil into the yeast, then beat in 4 of the eggs, 1 at a time, with the remaining sugar and salt. Gradually add 8 cups of the flour. When the dough holds together, it is ready for kneading. (You can also use a mixer with a dough hook both for the mixing and the kneading). Turn the dough onto a floured surface and knead until smooth. Clean out the bowl and grease it, then return the dough to the bowl. Cover with plastic wrap and let the dough rise in warm place for 1 hour, until almost doubled in bulk. The dough may also rise in an oven that has been warmed to 150 degrees and then turned off. Punch down the dough, cover, and let rise again in a warm place for another half hour. To make a 6-braided challah, take half the dough and divide into 6 balls. Roll each ball with your hands into a strand about 12 inches long and 1 ½ inches wide. Pinch the strands together at 1 end, then gently spread them apart. Move the outside right strand over 2 strands. Then take the second strand from the left and move it to the far right. Regroup to 3 on each side. Take the outside left strand and move it over 2 to the middle, then move the second strand from the right over to the far left. Regroup and start over with the outside right strand. Continue this method until all the strands are braided, tucking the ends underneath the loaf. They key is to always have 3 strands on each side so you can keep your braid balanced. Make a second loaf the same way. Place the braided loaves in greased 10-by-4-inch loaf pans or on a greased cookie sheet with at least 2 inches in between. Beat the remaining egg and brush it on the loaves. Let loaves rise another hour. Preheat the oven to 375 degrees and brush the loaves with egg again. Sprinkle on poppy or sesame seeds. Bake for 35 to 40 minutes or until golden and loaves sound hollow. Cool the loaves on a rack. As I write this, the most delicious smell is wafting from my kitchen and I only hope the result will taste as good as it smells! I have been home all day with a sick bubelah so decided it was a challah-baking kind of day. 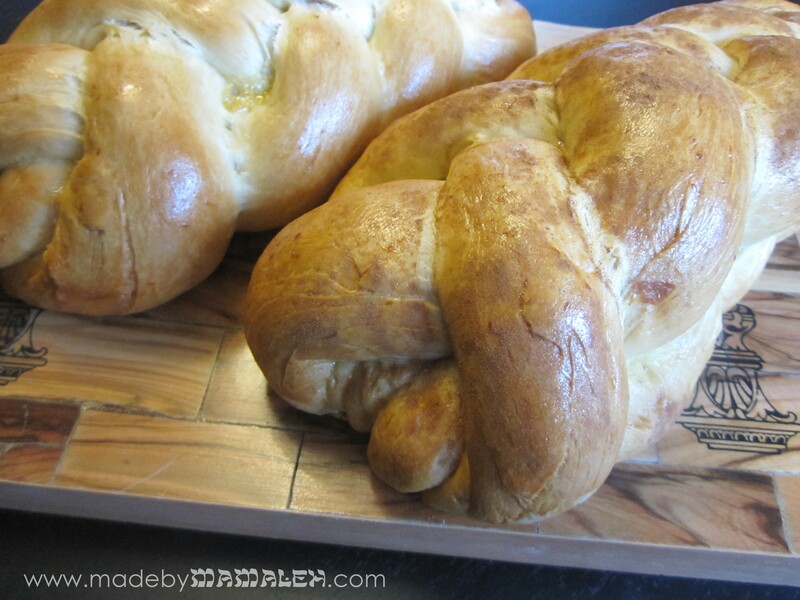 But, rather than go with my fav traditional recipe (which I’ll share with you another time), I decided to go with one from one of my favorite Jewish cooking blogs: The Challah Blog. I mean what is there not to like about challah, but Amanda over at The Challah Blog takes it one step further with all kinds of fun kinds and shapes (great tutorials in this regard – it is now my go-to braiding reference). A while ago, she posted about a maple syrup challah that sounded divine. A few preliminary thoughts: 1) I used the maple syrup cold from the fridge (since we always have it on hand) and my yeast did not foam up as much as usual so I wonder if perhaps this would work better at room temp; and 2) I am used to a recipe that makes two BIG loaves of challah which this didn’t. It made two lovely smaller loaves (which is probably just as well for our waistlines). Mmmmm….I just had a bite and it is delish and has a really nice texture. I took Amanda’s advice and sprinkled cinnamon on one but I agree, I want even more of the maple sweetness. I wonder how to achieve that?